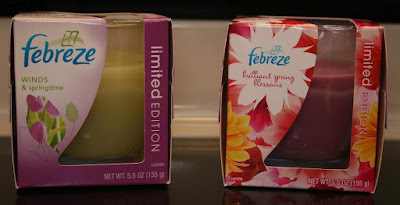 Last week I was at The Walmartz, and stopped by the home fragrance section to see if they had my favorite seasonal candle (Febreze Winds & Springtime) in stock yet, seeing as it's a springtime scent, and well, it's Spring Time! I only have 2 left in my stash from last year, so I needed to stock up! 2 is clearly not enough for a Y2K hoarder like me. As all Internet-research crazy bloggers do, I did some homework before I headed to the store, and I was glad to see that Winds & Springtime was still listed in the Seasonal scents category on the Febreze website. And yeah, I found no Winds & Springtime. 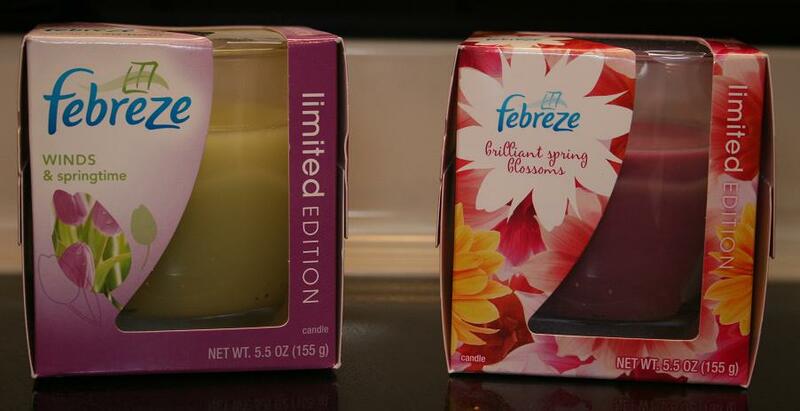 But..... it appears there is a new Limited Edition spring scent.... Brilliant Spring Blossoms. That.smells.exactly.like.Winds.&.Springtime. And of course is not listed on their website. The concept is not hard y'all. But at any rate, let me report that Brilliant Spring Blossoms *is* brilliant! It's light, springy, and fresh, and I love it. So if it has, in fact, replaced Winds & Springtime, I approve. I stamp my Sasha Says approval. I love Febreeze products! I'll have to make a point to check for that particular scent and smell it.